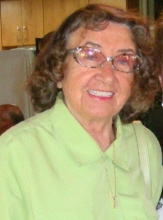 Gertrude "Greta" Lamarr Diepholz, age 94 of Mattoon, IL passed away Friday, April 12, 2019 at Life's Journey of Mattoon. Memorials in Greta's honor may be made to St. John's Lutheran School, 100 Broadway Avenue, Mattoon, Illinois 61938. To send flowers or a remembrance gift to the family of Gertrude "Greta" Diepholz, please visit our Tribute Store. "Email Address" would like to share the life celebration of Gertrude "Greta" Diepholz. Click on the "link" to go to share a favorite memory or leave a condolence message for the family.